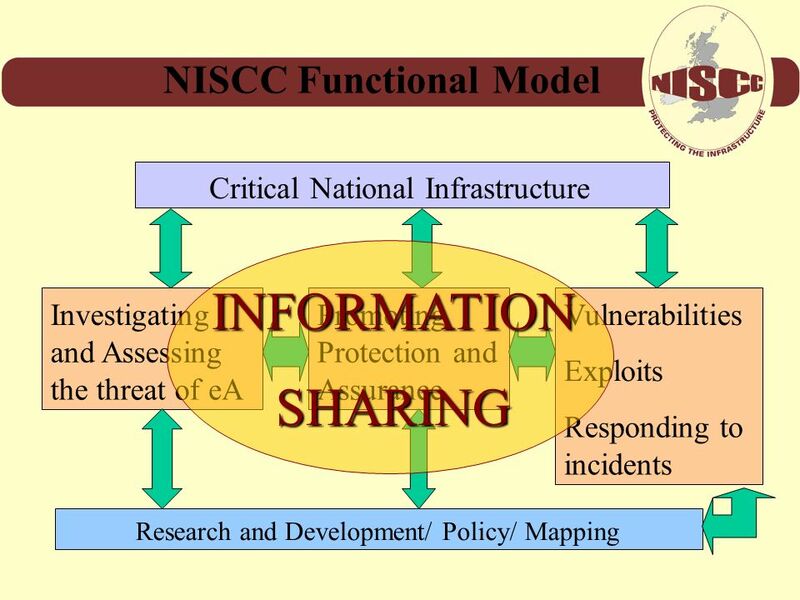 3 What is NISCC? 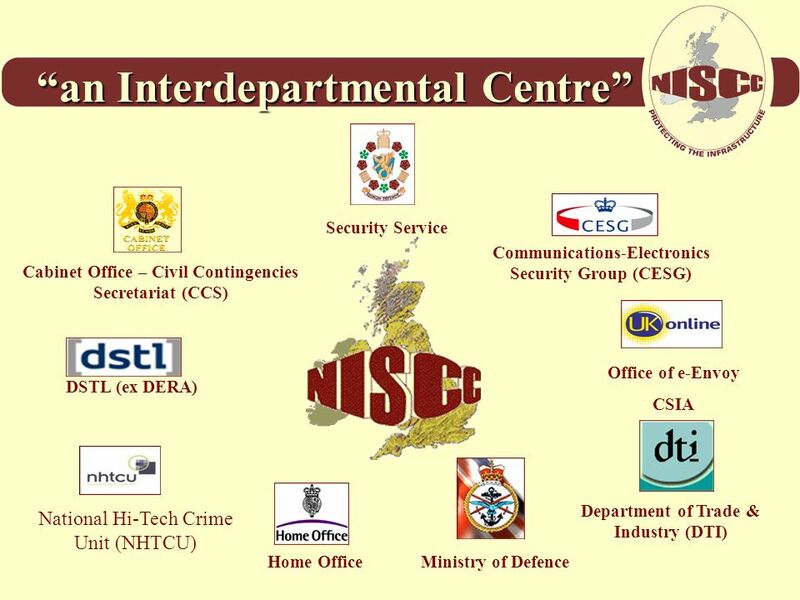 NISCC is an interdepartmental centre which co-ordinates activity in support of this aim across a range of organisations. 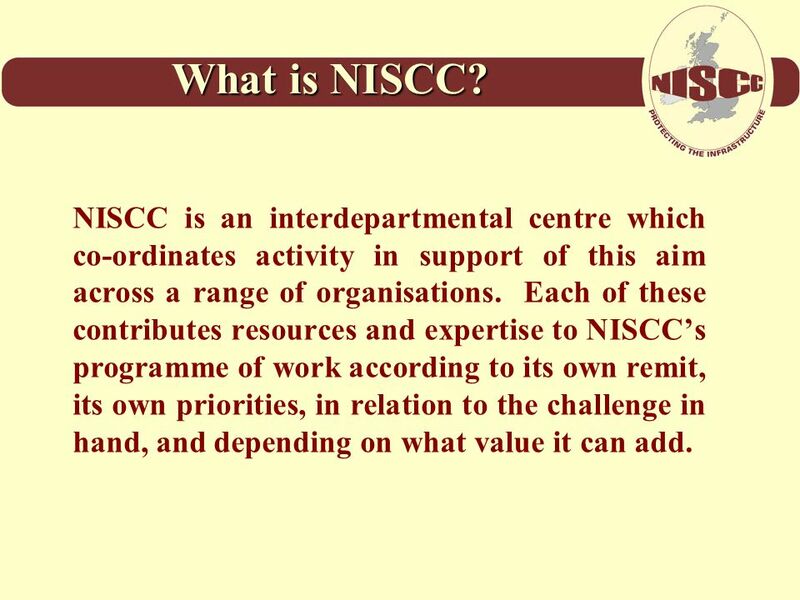 Each of these contributes resources and expertise to NISCC’s programme of work according to its own remit, its own priorities, in relation to the challenge in hand, and depending on what value it can add. 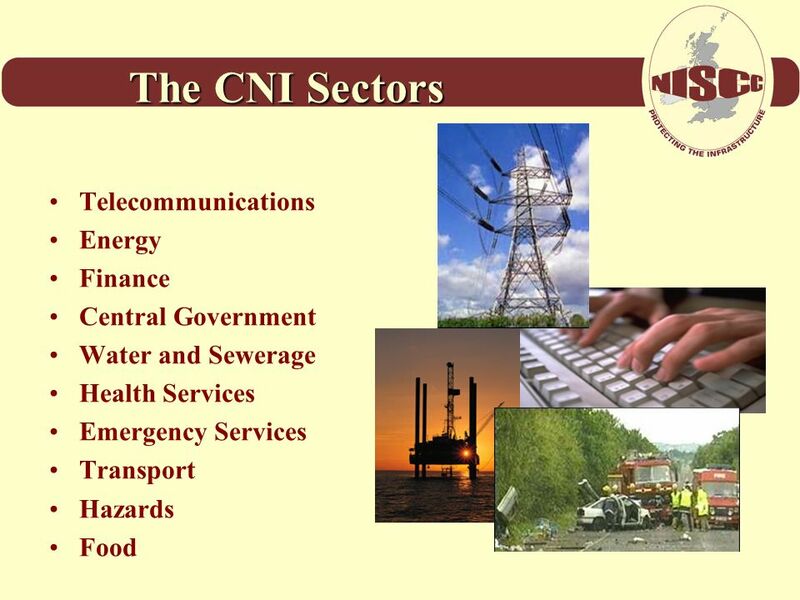 5 What is the CNI? 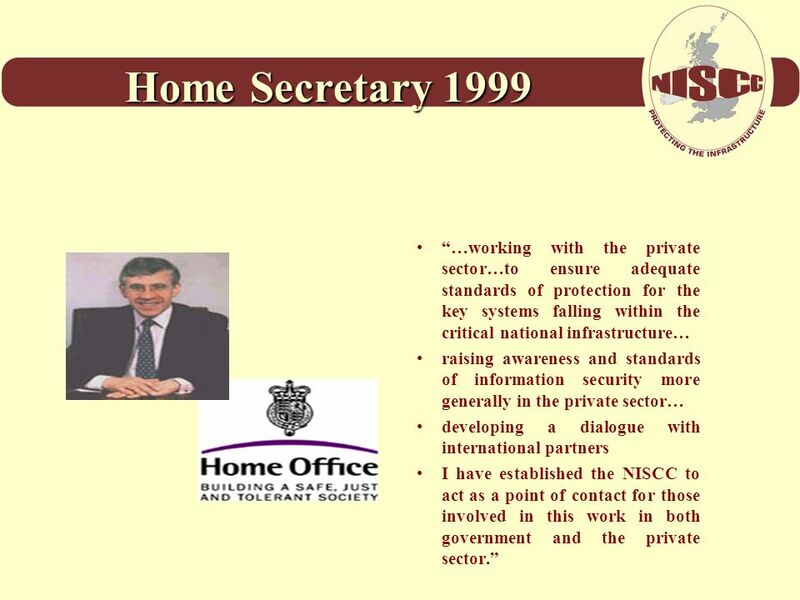 Those parts of the United Kingdom’s infrastructure for which continuity is so important to national life that loss, significant interruption or degradation of service would have life-threatening, serious economic or other grave social consequences for the community, or would otherwise be of immediate concern to the Government. 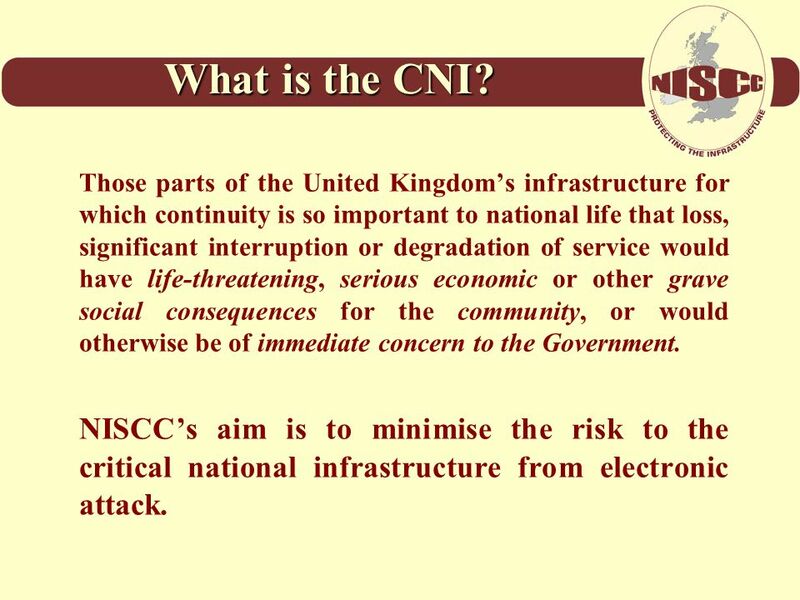 NISCC’s aim is to minimise the risk to the critical national infrastructure from electronic attack. 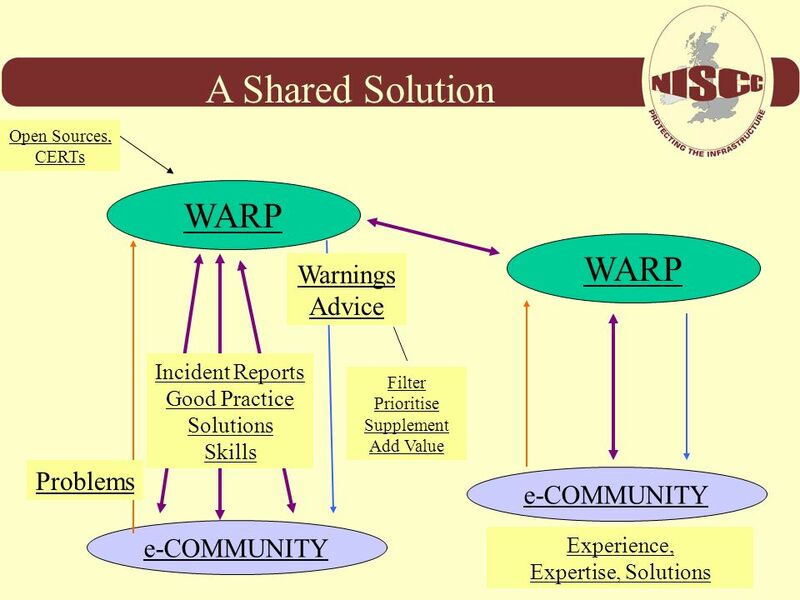 NISCC – Information Sharing The WARP Model Functions Issue Warnings to its community Provide Advice on Internet problems & share Good Practice amongst members Gather, sanitise, and share Incident Reports This is the model we conceived to do it. Very much like a CERT, but with different responsibilities, level of resourcing, skill sets, and especially, very low-cost. 3 key activities, which will develop roughly in this order. 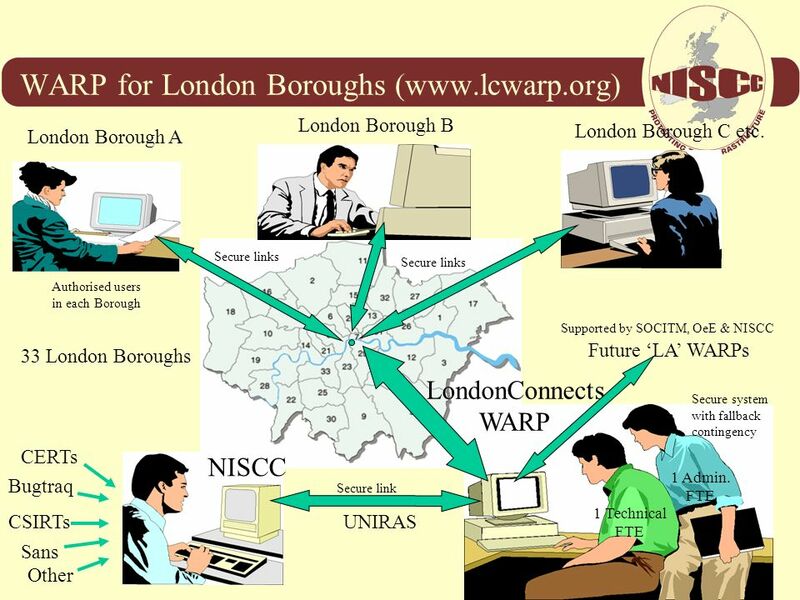 LondonConnects WARP London Borough A London Borough C etc. 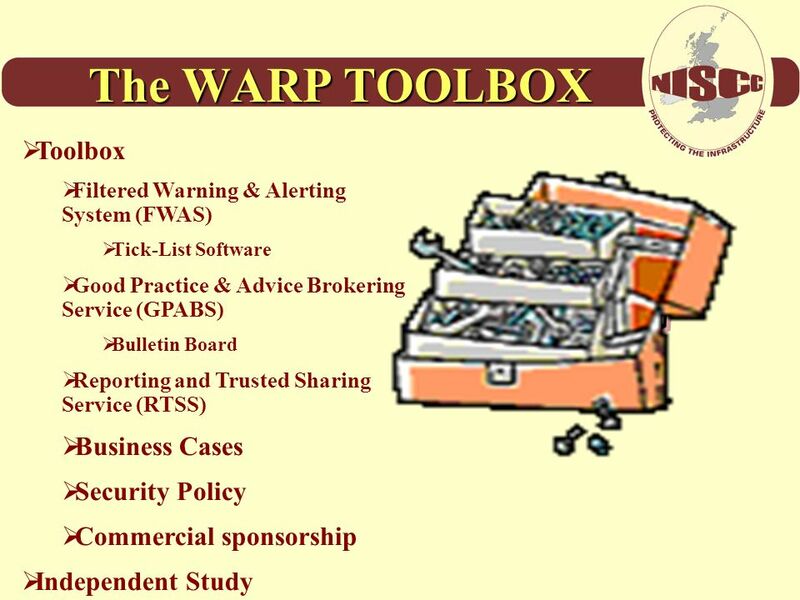 London Borough B Future ‘LA’ WARPs CERTs Bugtraq UNIRAS 33 London Boroughs NISCC CSIRTs Sans Other Secure system with fallback contingency Authorised users in each Borough Secure links Secure link Supported by SOCITM, OeE & NISCC 1 Technical FTE 1 Admin. 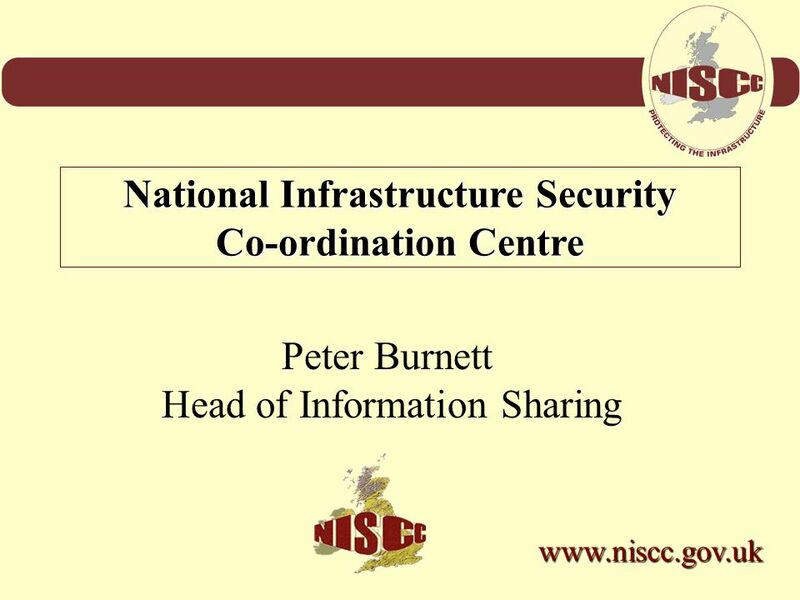 Download ppt "National Infrastructure Security Co-ordination Centre"
Are you Resilient? 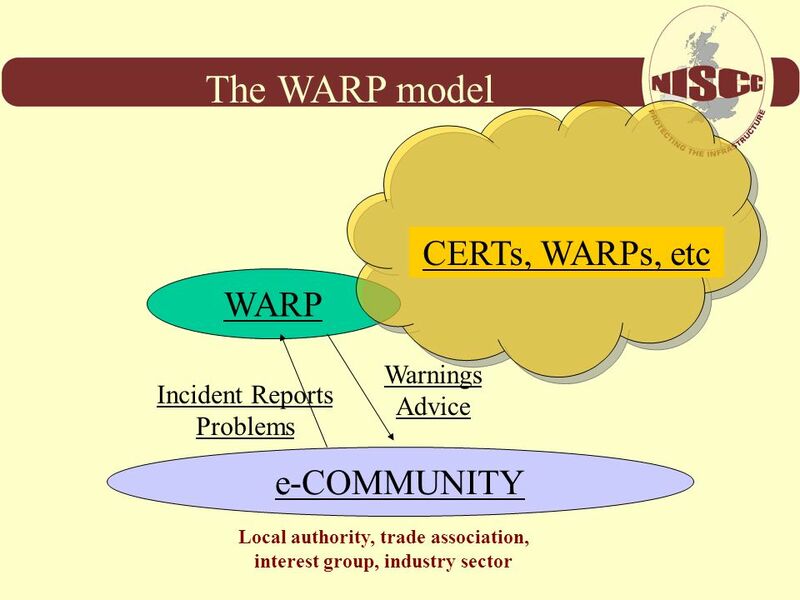 Diane Howorth Business Development Manager European Telecommunications Resilience & Recovery Association. 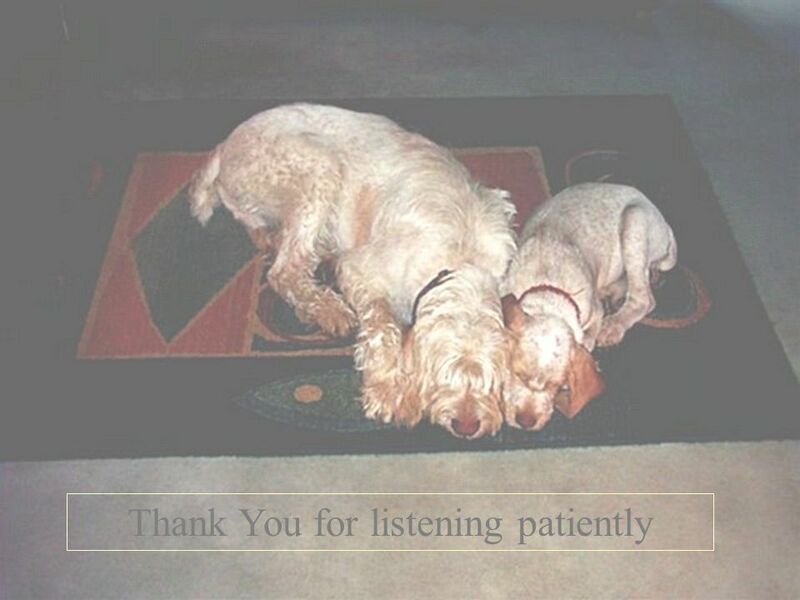 Mental Health Development Project Where are we now ? Jane Taylor Community First. 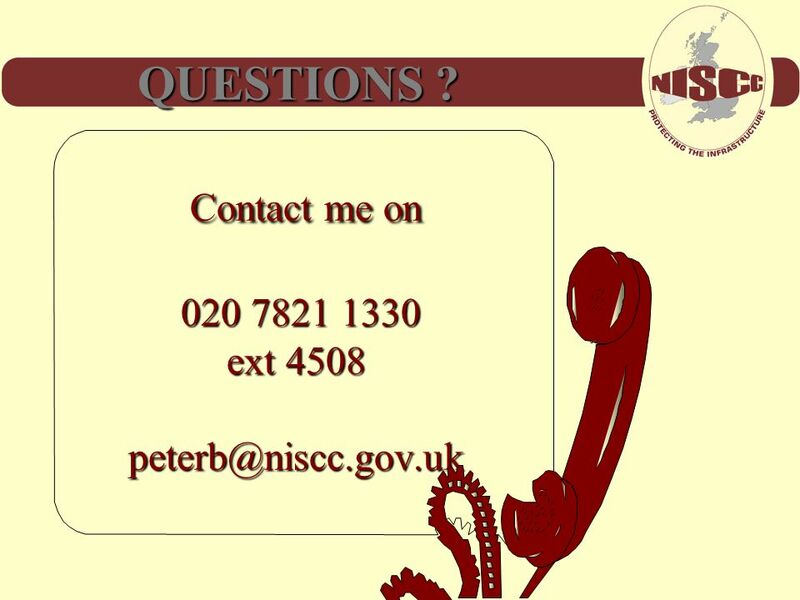 Civil Contingencies Act: Business Continuity Advice to Commercial and Voluntary Organisations Tony Part Civil Contingencies Act Team Cabinet Office. 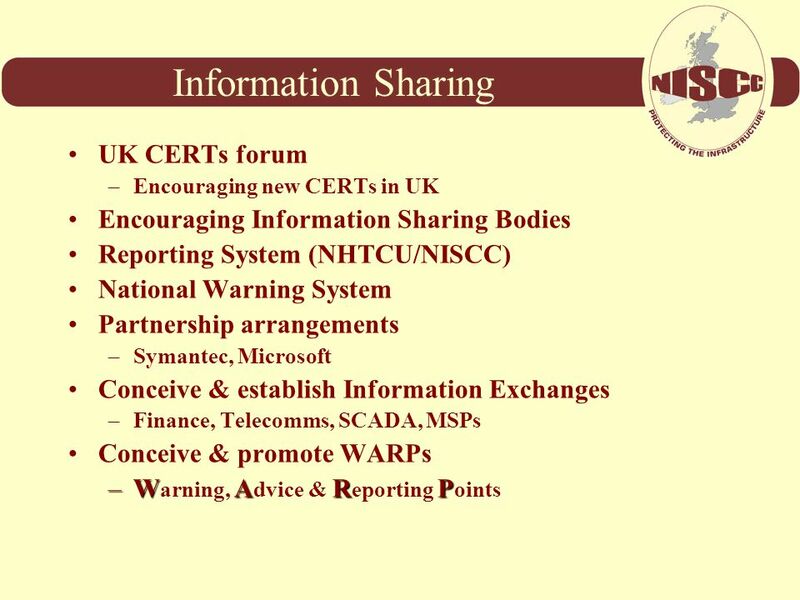 Information: to share or not to share? BCS HC 2012 Conference London 2 nd May Dame Fiona Caldicott. Thailand National Focal Point for IFCS Chemical Safety Section Food and Drug Administration Ministry of Public Health July 2003. KENT JOINT POLICY AND PLANNING BOARD (HOUSING) – WORKING WITH PARTNERS ACROSS KENT Tracey Kerly – Head of Customers, Homes and Properties at Ashford Borough. 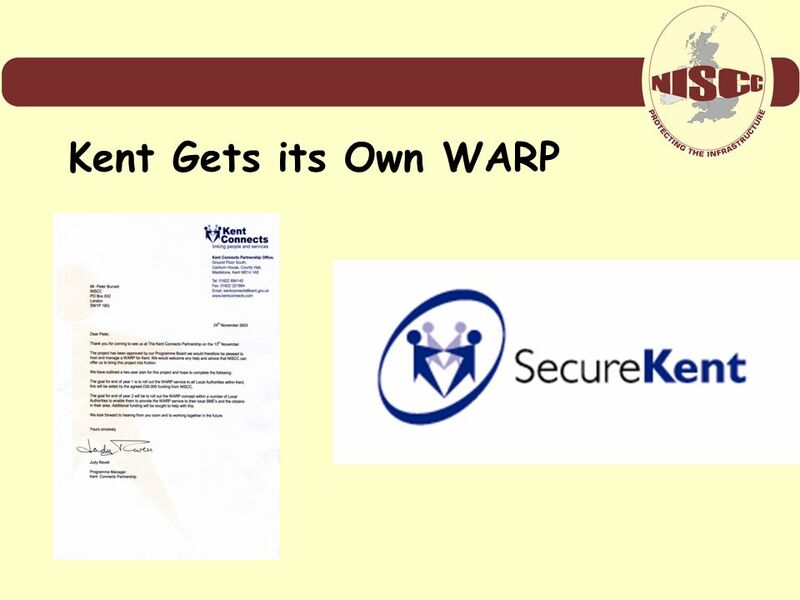 Kenneth Watson Partnership for Critical Infrastructure Security Partnership for Critical Infrastructure Security. Resilient Communities Plan Jim Fraser, Emergency Planning Officer Scottish Borders Council.